From MarTech to vendor management, predictive analytics to efficient media buys — marketing is complex. But for all those activities and investments to be effective, their underpinning should be dead simple — a compelling, credible value proposition. In our latest article, we share an interview with two execs of a tech startup right after they completed a value proposition workshop with their team. Read on (and watch the video interview) to learn what LocatorX’s leaders took away from the process. Then use these ideas to get value proposition alignment from all the key stakeholders in your business. That’s my version of George Carlin’s famous “Advertising Lullaby” if he did it for B2B companies. It probably looks familiar to you because you’ve read some version of it … everywhere — from landing pages to print ads to conference booths. There are words there. Sometimes big words. Frequently used words. But they don’t really tell you anything. They just wash over you. I call this blandvertising. It’s an obstacle for B2B buyers truly trying to understand offerings in the marketplace. And it’s a huge challenge for B2B companies who invest in media and website development to get these words in front of those B2B buyers yet aren’t really communicating much value. A clear, well-articulated, universally understood value proposition can clarify and strengthen a B2B company’s marketing message and even its very business strategy. One way to begin to discover that value proposition is with a value prop workshop. 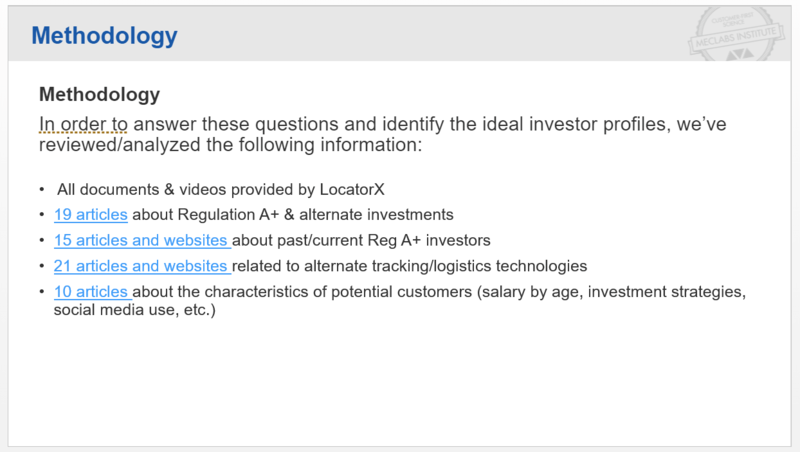 I recently had the opportunity to participate in a value proposition workshop with tech startup LocatorX. (full disclosure: LocatorX is a MECLABS Institute Research Partner and MECLABS is the parent research organization of MarketingSherpa). To help you discover and optimize the underpinning of your sales, marketing and product development — your company’s value proposition — we interviewed Scott Fletcher, President and CEO, LocatorX, and Billy Meadow, Founder and Chairman, LocatorX, shortly after they took part in this value proposition workshop with their team. Watch the video or scroll below it to read some key takeaways. 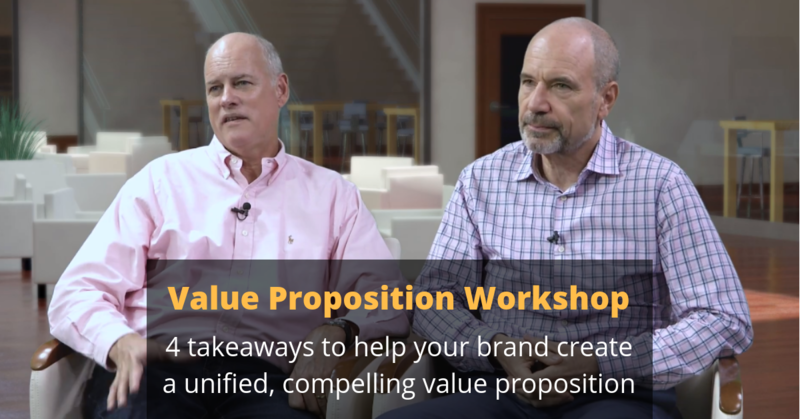 Here are a few takeaways to help you with your own value proposition based on my participation in the workshop and interview with Scott and Billy. Simply put, B2B products are complex. And not easy to explain. So it makes sense they struggle with their marketing messaging and value proposition. Unlike, say, a shoe company that might have many different products and types of customers but is essentially doing the same thing with all those products and customers — selling shoes — B2B companies have a much more disparate offering. That’s why getting your company aligned around a powerful value proposition is so important. If you’re not careful, that complexity will end up as watered down, generic marketing copy with multiple (and confusing) messages out in the marketplace. Working for a company — whether in a marketing department or for that company’s agency — you are essentially on a team. You have to be bought into your product on some deep level to be able to promote it. But for the marketer, it is better to have one foot in and one foot out, so to speak. When you’re too bought into your product, it can be easy to assume that you have no real competition. Or if there is competition, it doesn’t remotely measure up. Many companies make this mistake. The customer doesn’t think this way though. The customer isn’t bought into your product, totally focused on it, ready to listen to every marketing message. The customer is busy and doesn’t care about you. So it’s important to bring in that customer perspective to help balance against your passion. That’s why it helps to have at least one voice in the room who is the skeptic, who plays the role of the cold, uncaring and uninterested customer. The selfish, distracted, self-absorbed, narcissistic customer. I use all these adjectives with tongue planted firmly in cheek, of course. But they are true. They describe all of us when we’re customers relating to all the products, brands, services and calls to action in the world. None of us care about those products. We care about ourselves. But that’s easy to forget when you’re sitting in a leather chair, arms propped up on a walnut conference table, surrounded by like-minded individuals. So who in the room can continually surface the customer’s viewpoint? Even when it’s awkward to go against the groupthink. No value proposition lives in a vacuum. So it’s important to get a good understanding of the competitive market before you step into the value proposition workshop. In addition, every industry has its own language, emerging threats and upcoming opportunities. You should have a broad understanding of where the industry thinks it’s headed, and not just your own internal biases, going into the workshop. “I viewed that when we went into this MECLABS would facilitate it. It’s your expertise to facilitate this process. And you would bring not just the expertise of developing a value prop, but you would have some knowledge of what we were doing. And I would say our expectations for what the team brought were vastly exceeded. That to me was the biggest takeaway, the way the team worked together and what MECLABS brought to the process,” Fletcher said. “I was surprised at the level of research you did on the industry and what our business was … and about the industry and where it could go,” Meadow said. For example, here is a methodology slide from the customer profile strategy aimed at LocatorX investors that the team created before going into the value proposition workshop. Getting your team aligned is essential to having a clear message and product delivery. Fletcher explained the process as a team-building workshop of sorts. It’s not a team-building exercise centered around trust falls and other hokey bonding experiences, but rather a team-building exercise that is built around the customer. From the business, technical, product, sales, operations and every other side of the business, key leaders and players are able to voice their view of what value the company and its products provide to the customer. “I really like the structure and methodology used in the workshop that allowed us to verbalize the different components for our value proposition(s). Great collaboration effort,” said Juan Carlos Gonzalez, a senior information architect who works with LocatorX and was an attendee of the value proposition workshop. One key result is a more aligned team. No longer is it just a marketing department or ad agency coming up with some creative ways to get customer attention that lack underlying value. Or splashing generic words on an ad or website. It’s an entire company moving together to make an honest proposition to the ideal customer — and deliver on it.